STC has applied at City Hall to operate a preschool in the primarily residential neighbourhood of Montgomery. With about a dozen preschools already located in residential neighbourhoods around the city it would seem STC has a good chance of seeing this discretionary use approved. But as part of their approval process, City Council has asked for the input of neighbouring property owners. A preschool is far from what most people would consider a nuisance to their neighbourhoods. Montgomery residents, however, have voiced their aversion towards it. Opposing neighbours in Montgomery could bend the ear of Council to ultimately turn the use down. What are they so worried about? The idea of a preschool located in a residential neighbourhood hits homes for me as I grew up in a house that operated as a private preschool for my entire childhood. The Unity Private Preschool operated with afternoon-only classes four days a week, with up to 18-20 students per session in my parent’s basement. My father and I were just chatting about the Montgomery situation in the news. He had a chuckle when he realized they likely never sought the approval of their neighbours! Of course, my mother’s preschool was operating in a small town with much broader municipal zoning bylaws. “My neighbours weren’t home, most of them were at work during my business hours,” she notes. And if even if they were, she theorizes, they were only impacted by traffic approximately 10 minutes on either side of her minimal operating hours. The Montgomery preschool would have likely even less traffic as they’ve stated they will be primarily bussing students in. And while she would not oppose a preschool next door to her home, my mother thinks there may be a legitimate reason folks in Montgomery are bothered by the idea. No one purchases a single family home and expects a business to open next door in residential zoning, so to that end I’d have to agree. Not only was I was raised in a preschool but I became a preschool teacher before moving to a career in commercial real estate. Here’s a few quick facts that might be worth considering regarding the day to day operations of a preschool. Preschools are not daycares and they run incredibly short hours in comparison. Even with morning and afternoon classes, most are open from 9-11:30am and 1-3:30pm. Even if a playground is established, I would expect students to be outside occasionally no more than 10-15 minutes at the end of their program hours. Which brings me to my last point, if everyone is respectful you shouldn’t have an issue. My mother says she tried to encourage carpooling to limit the number of parents arriving and departing from her street. And at the very least she reiterated a lecture several times a year to remind people not to block neighbouring driveways. Without living in Montgomery I can only speculate what is causing their residents to be so openly vocal against the preschool. 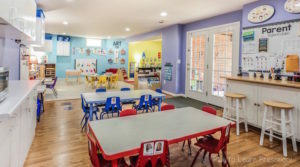 Assuming the preschool meets all zoning and building code requirements, do you feel like neighbours bias towards the use should sway the discretionary use approval process? Or should the City look at the plan in front of them, weigh the merits of what’s being proposed and proceed with a use they’ve approved throughout many other parts of residentially zoned neighbourhoods?